Below you fill find all funeral homes and cemeteries in or near Watsonville. Suburbs of Watsonville: Corralitos, La Selva Bch, La Selva Beach, Pajaro, Royal Oaks. Watsonville is also known as: Santa Cruz County / Watsonville city. Zip codes in the city: 95076, 95077. Santa Cruz County funeral flowers can be purchased from one of the local funeral shops we partner with. Struve and Laporte Funeral Home, established in 1927, is the oldest Family Owned mortuary in Monterey County. Three generations have given over 75 years of sincere service to our community. Healey Mortuary was originally Founded June 24, 1956 by Mr. and Mrs. Herbert C. Healey, and originally named Salinas Valley Mortuary. Soon after, Salinas Valley Mortuary became the well known Healey Mortuary located in Salinas California. Watsonville has been featured in films like: This Dust of Words (2008). Some of the notable people born here have been: Sherman Cocroft (american football player), Planet P Project (organist and keyboard player), Frank Post (professional road racing cyclist), Grant George (voice actor and actor), and Luis Alejo (attorney at law). Watsonville is a city in Santa Cruz County, California, United States. The population was 51,199 according to the 2010 census.Located on the central coast of California, the economy centers predominantly around the farming industry. It is known for growing strawberries, apples, lettuce and a host of other vegetables. Watsonville is home to people of varied ethnic backgrounds. There is a large Hispanic population, a group of Croats, Portuguese, Filipino, Caucasian, Sikhs and Japanese population that live and work in the city.The Pajaro Valley, wherein Watsonville is located, has a climate that is usually pleasant — around 60 to 70 degrees Fahrenheit throughout the year. This climate makes Watsonville an attractive coastal environment for the neighboring inland communities with very hot summers. The Pajaro Valley Unified School District has an attendance of about 18,000 students kindergarten through 12th grades. There are several private religious-based schools in Watsonville such as Notre Dame School, Monte Vista Christian, Salesian Sisters and St. Francis. There are also several charter schools and the non-religious independent Pre-K through 12th grade Mount Madonna School. These schools provide a wide range of educational options for local families. Watsonville is generally conservative on the political spectrum and average in relationship to the neighboring communities of Salinas, Castroville, and Prunedale.The larger coastal town directly north of Watsonville is the city of Santa Cruz. Santa Cruz is a draw for many young college students who attend Cabrillo College or University of California, Santa Cruz. Because Watsonville and Santa Cruz are beach towns, they draw many visitors from San Jose and from the Central Valley areas. Like neighboring Salinas in Monterey County, Watsonville produces a variety of fruits and vegetables, primarily apples, strawberries, blackberries, raspberries, and table mushrooms. It was revealed by Chicago Tribune on July 5th, 2018 that Toshio Joji perished in Stone Park, Illinois. Joji was 100 years old and was born in Watsonville, CA. Send flowers to express your sympathy and honor Toshio's life. It was written by The Californian on April 18th, 2018 that Elias Jr Deleon passed away in Watsonville, California. Deleon was 79 years old and was born in Linares, . Send flowers to share your condolences and honor Elias Jr's life. It was revealed by Monterey Herald on April 14th, 2018 that Joseph Henry Rosa passed away in Watsonville, California. Rosa was 91 years old. Send flowers to express your sympathy and honor Joseph Henry's life. It was revealed by Centralia Sentinel on April 7th, 2018 that Maxie Lee Shaw perished in Vandalia, Illinois. Shaw was 72 years old and was born in Watsonville, CA. Send flowers to share your condolences and honor Maxie Lee's life. It was revealed on December 5th, 2017 that Kenneth Lloyd Merryweather passed away in Lake Frederick, Virginia. Merryweather was 60 years old and was born in Watsonville, CA. Send flowers to share your condolences and honor Kenneth Lloyd's life. It was written by Klamath Falls Herald and News on September 3rd, 2017 that Mary G "Trudy" Farr perished in Portland, Oregon. Farr was 91 years old and was born in Watsonville, CA. Send flowers to share your condolences and honor Mary G "Trudy"'s life. It was written by Orange County Register on July 21st, 2017 that Tennison S Dr Dong passed away in Watsonville, California. Dong was 83 years old. Send flowers to express your sorrow and honor Tennison S Dr's life. It was revealed by Monterey Herald on May 14th, 2017 that Franklin Jose Gaerlan passed away in Watsonville, California. Gaerlan was 73 years old and was born in Baguio, . Send flowers to express your sorrow and honor Franklin Jose's life. It was disclosed by The Herald on April 16th, 2017 that Melanie Jean Munk passed away in Bothell, Washington. Munk was 64 years old and was born in Watsonville, CA. Send flowers to express your sympathy and honor Melanie Jean's life. It was reported by The Californian on April 8th, 2017 that Callistro Avila Martinez perished in Watsonville, California. Martinez was 92 years old. Send flowers to express your sorrow and honor Callistro Avila's life. The population was 44,265 at the 2000 census. Watsonville is a city in Santa Cruz County, California Cruz County, California, United States. . . . 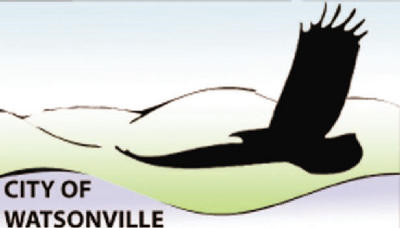 The official website for the city of Watsonville is http://www.ci.watsonville.ca.us. Funerals in Watsonville, CA on Yahoo! Local Get Ratings & Reviews on Funerals with Photos, Maps, Driving Directions and more. Find a Funeral Home inWatsonville, California CA to provide the caring burial and ceremonial services your family deserves. We work with local florists and flower shops to offer same day delivery. You will find budget sympathy flowers in Watsonville here. Our funeral flowers are cheap in price but not in value.